Rather than a passive act following what is written, reading is a kind of ‘work’ that engages the reader with the text. This ‘work of reading’ is rendered particularly visible by the marks and underlines that are found in much-used books. 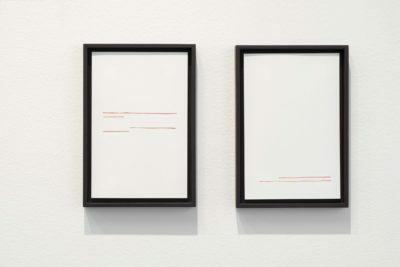 Bonillas’ idea is that when the texts to which these marks refer are removed, what is left is a ‘thought figure’, an image of the reader’s thoughts. This is the only criterion for the choice of the second-hand books in this work. 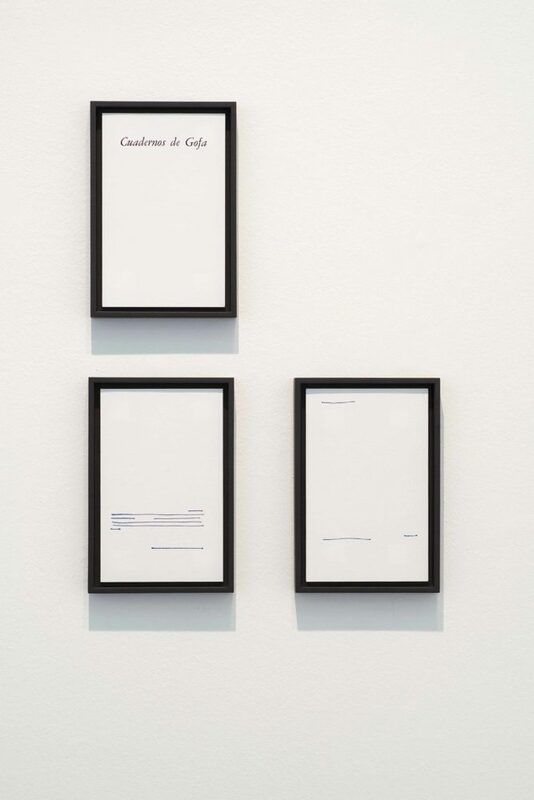 Each ‘marked’ page is reproduced full-size and the texts are removed. The various pages are grouped per book. The whole occupies the entire gallery and evokes the image of a library, in this case a library of anonymous mental images. 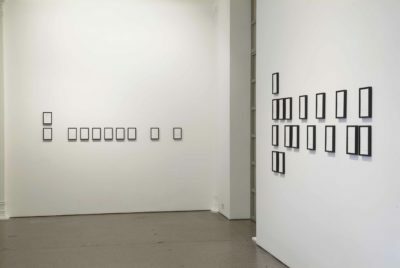 Since the late nineties, the young Mexican artist has been establishing a relationship with photography in his work. 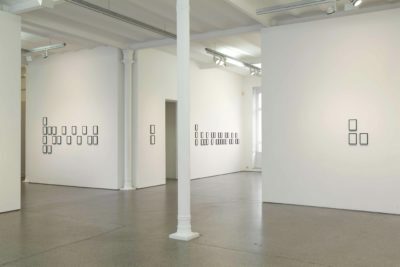 With a regard for the aesthetics and the conceptual practices of the sixties and seventies, Iñaki Bonillas has been gradually isolating the constituent elements of photography and connecting them with other procedures. Because of the artist’s fundamentally reflexive attitude, which implies that the visual is always involved in discourse and procedures, he should be labelled as somebody who ‘occupies’ the medium of photography, rather than as a ‘photographer’ in the classical sense of the word. The piece entitled “10 cameras documented acoustically” (1998) is a case in point. Bonillas records the sound of the shutters of ten cameras (from 1/2000 to 1 second shutter speed) on ten audio CDs. “Light Rooms” is a work that has been reinterpreted several times. It was first installed in Mexico in 1999, then it was shown in Puerto Rico in 2001, and subsequently in Brussels in 2003 and Madrid in 2005. It offers the viewer the sensual experience of perceiving an empty, coloured space. The version in Brussels consisted of six empty identical small rooms, each of which was lit by a bulb with a different colour. 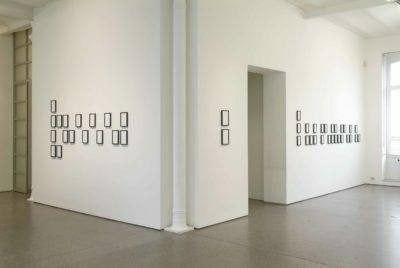 Through the different experiences in the spaces brought about by the lights, the ironic reference to the ‘White Cube’ and the empty space, the work refers also to photographic dark rooms. 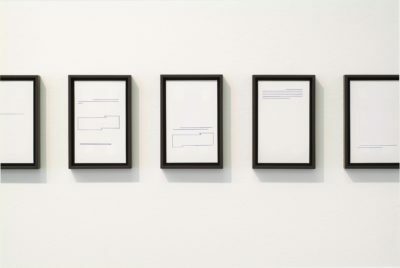 “Photographic Views from a Wall “(2002) takes up more technical aspects: a photograph of the same white wall is printed on nine different papers and thus yields nine different colour tonalities. The work that was shown in Utopia Station (Venice Biennial, 2003) consisted of an empty, closed cube that was lit inside by a single white light source and at a constant temperature that was ideal for the preservation of photographic material. 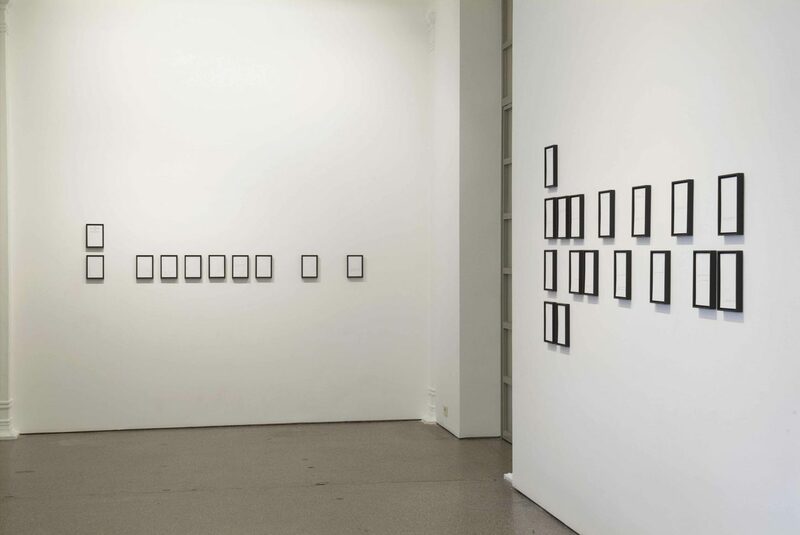 Since 2003 Iñaki Bonillas has been introducing the vast photo archives of his grandfather, J.R. Plaza, into his work. He links elements together that are a priori incompatible: on the one hand a personal, biographical narrative that consists of private anecdotes and emotions, and on the other a quasi-scientific element of compilation, classifying and archiving. 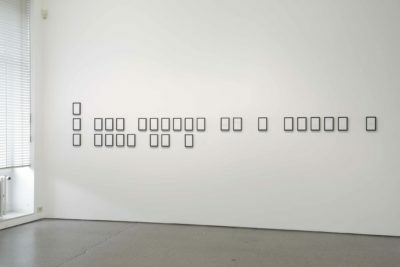 Stimulated by his grandfather’s incessant, nearly compulsive activity, this ‘collaboration’ has resulted in numerous works. Among these was the discreet insertion of the 30 original volumes that constituted the ‘J.R. Plaza Archive’ into the library of Galerie Greta Meert, during the Bonillas exhibition in 2003…. 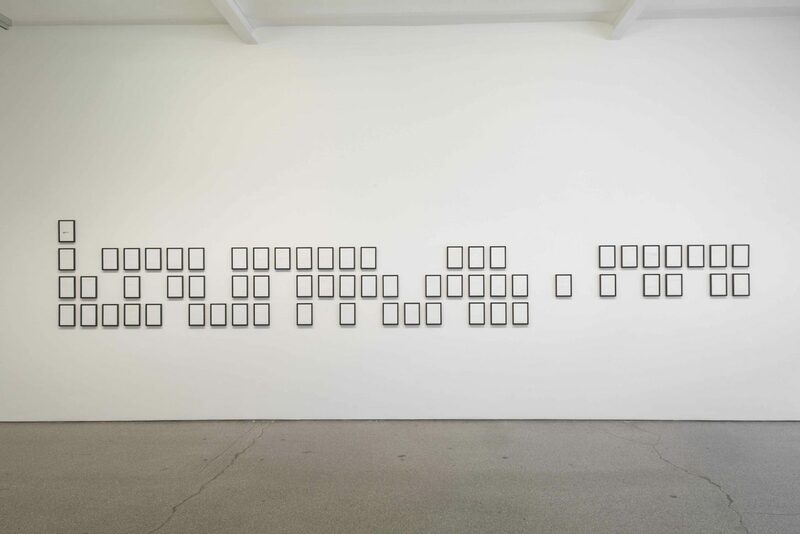 Or, always making use of the same source, the reproduction of all vertical photographs in the same size. 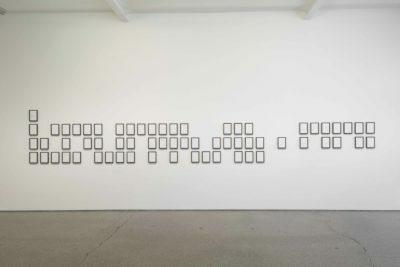 “A Sombra e o Brilho” (2007), recently shown in ProjecteSD in Barcelona, shows the negatives of a series of photographs taken by J.R. Plaza, in which the latter poses as a character from a Western film. This series not only questions the place of the author in the work, but also the possibility to include a personal history in a common grammar.